Hagia Sophia The ancient Byzantine church, built by Justinian I between 532-537 AD after the Nika Riot, was later converted to a mosque with the addition of minarets in mid-15th century. The remarkable structure with its 56m high immense dome is a museum today in which you can see both Christian and Islamic art. There are good examples of the Byzantine mosaics as well. it was the largest cathedral in the world at one time. The Suleymaniye Mosque, built on the order of Sultan Suleyman (Suleyman the Magnificent), "was fortunate to be able to draw on the talents of the architectural genius of Mimar Sinan" The construction work began in 1550 and the mosque was finished in 1558. The mosque is modeled in part on the style of a Byzantine basilica, particularly the Hagia Sophia, which was perhaps a conscious move on the part of the sultan to create a continuity and a symbolic connection with the city's past. The Spice Bazaar is located next to the Flower Market on the banks of the Golden Horn called Makron and Envalos by the Byzantine and Eminönü by the Ottomans. The Spice Bazaar is one of the most characteristic places of Istanbul. Spice Bazaar which is one of the oldest covered bazaars of Istanbul is situated within the complex of Yeni Cami. The Yeni Cami complex which was commissioned by Safiye Sultan to be built and the construction of which started in the year 1591 was completed by Hatice Turhan Valide Sultan in the year 1633.In the Bazaar which is famous for its herbalists currently dried fruits, delicatessen and various food staff besides conventional products such as natural medicines, spices, flower seeds, scarce plant roots and peels are sold. It is known that the spices sold here are in addition to their consumption as food staff, useful for the treatment of certain diseases. Lately an increase in the number of jewelery shops in the bazaar is being observed. 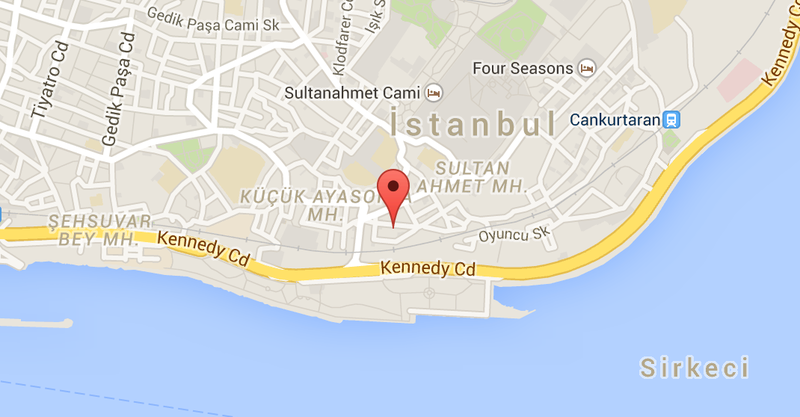 Within the Spice Bazaar there are restaurants with a view over the Golden Horn and Galata Bridge as well.